Lake County, Florida used to be a very dangerous place to live. It wasn't because there was a high crime rate. In fact Willis McCall, the long-time sheriff of Lake County presented more of a hazard to some residents than any criminals ever would. In his book "Devil in the Grove" the author Gilbert King wrote about a horrible injustice that took place there and the crimes that were perpetrated by that corrupt and violent sheriff. When the author was on a publicity tour in the region for that book he was approached by a former law enforcement officer from Lake County who suggested that he might wish to look into another episode of injustice that took place in 1957. A woman was raped in her home. She told the police that her attacker had been a black man so the sheriff began a roundup of young black men. Then the woman's husband returned from a "business trip." The husband did not want it to become known that his wife had been assaulted by a black man. That would not have looked good and in the interest of keeping up appearances the police began looking for another suspect, a man who was not black. They arrested a white teenager named Jesse Daniels. Jesse was cognitively impaired and he came from a poor family. He supposedly confessed to the crime and Sheriff Willis McCall saw to it that Jesse was never brought to trial. Instead he was sent away to a horrific mental institution and he ended up being incarcerated there for years. But that is only the beginning of the story. 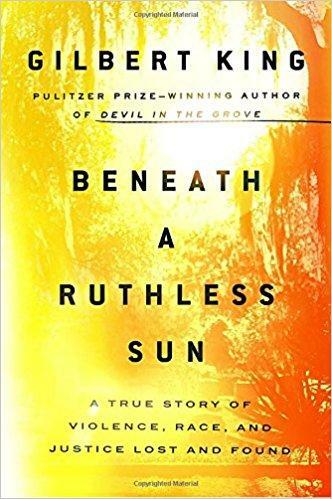 In "Beneath a Ruthless Sun - a True Story of Violence, Race, and Justice Lost and Found" King describes the efforts that were made by Jesse's mother along with a crusading journalist and a young attorney to finally win freedom for this wrongly accused young man. This is an incredible story. William T. Vollmann writes some massive books. His current offering is so enormous that his publisher had to split it into two volumes. 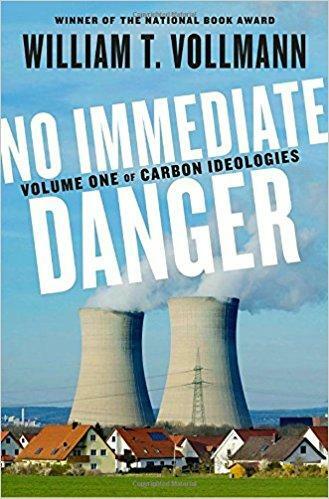 The first installment is "No Immediate Danger-Volume One of the Carbon Ideologies." Volume Two, "No Good Alternative," will be published in June. I spoke to Bill Vollmann about the first volume-we had a sobering discussion about this very important book. Vollmann has written this book by taking the approach that he is leaving this text behind for some reader in the future to peruse. A reader who will probably be fairly miserable and living in a world that is far different from the one we know now. Book Nook On The Road: An Interview With Melissa Fay Greene For Her Book "The Underdogs"
We did something rather different recently when we recorded a Book Nook program before an audience at the Little Art Theatre in Yellow Springs in conjunction with the Greene County Public Library. 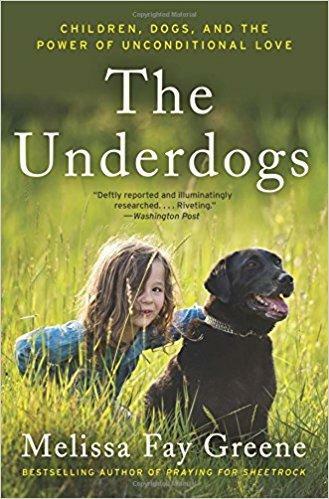 Melissa Fay Greene returned to the program to do another interview for her book "The Underdogs: Children, Dogs, and the Power of Unconditional Love." This is the inspirational saga of 4 Paws for Ability in Xenia, Ohio and the woman who founded the organization, Karen Shirk.